In May of 2018, the FAA is reviewing 150 proposals for the use of Drones in the healthcare field. One exciting proposal lays out plans to use drones to deliver blood during an emergency. This could revolutionize the healthcare field. Right now, hospitals use a courier service, but the process can be slow. Depending on the time of day, courier availability and traffic conditions, a delivery can take anywhere from 30 to 60 minutes. With a drone, it will take ten minutes or less! That is a big difference with the potential to impact many lives. Right now, the focus is on drones delivering blood but, once this process is perfected, drones can be used to deliver supplies after natural disasters or to remote areas where transit is generally slow. 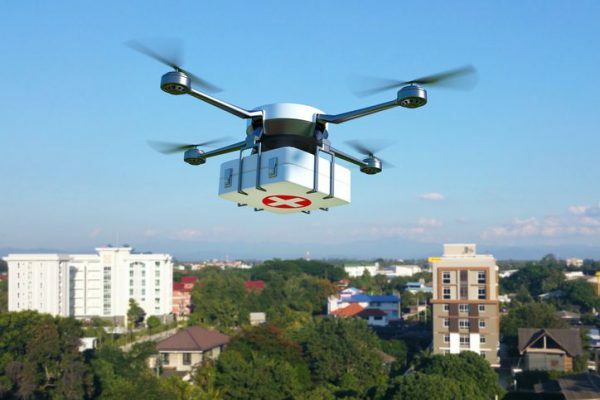 Medical drone deliveries could save countless lives all over the world. It's proving the sky is not the limit. This entry was posted in Drones and tagged Commercial Drone Use, Commercial Drones, Drone Delivery, drone news.